We’re famous for our smiles! Dr. Jeffrey Collins and the Parker Orthodontics team are committed to providing you and your family with an exceptional orthodontic experience. We truly care about our patients, and strive to make each visit a relaxing and positive experience. Dr. Collins specializes in orthodontics and offers a wide variety of choices for children, teens, and adults, all tailored to meet each patient’s specific needs. 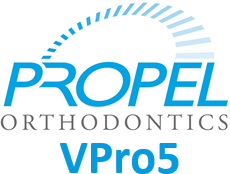 These include In-Ovation® and Damon® Smile self-ligating brackets, Invisalign® and Invisalign Teen® clear aligners, lingual braces, I-Tero, I-CAT FLEX, and accelerated orthodontics with PROPEL Orthodontics. Dr. Collins has consistently been chosen Top Orthodontist in 5280 Magazine and has won “Best of the Best” for more than 15 years! We welcome your entire family for a complimentary consultation with Dr. Collins. Come visit us at our Parker, Castle Rock, or Elizabeth orthodontic office to achieve the beautiful, healthy smile you’ve always dreamed of. "Please feel free to schedule an appointment, or stop by for a complete tour of our practice."